As our UK climbing team start arriving into Kathmandu to embark on Everest via the North Col, we thought we’d make some introductions! We’re proud to have a team of 5 climbers on the mountain with us this year. Whilst 3 of them will be climbing under the radar and shall remain unnamed, here’s an intro to the rest of the team! 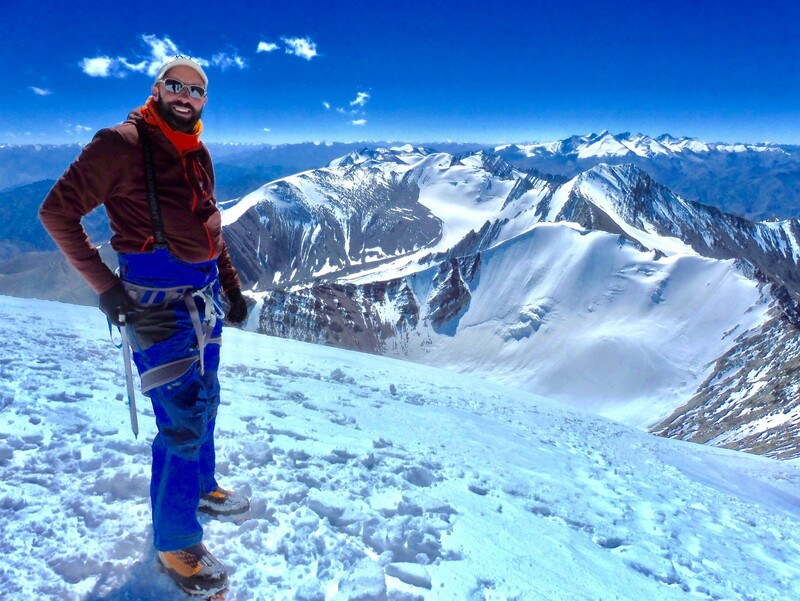 Favourite summit to date: I’ve loved each and every mountain – from Aconcagua, to Cho Oyu, Elbrus and others. All offered such different experiences, so it’s impossible to pick one out. I think it is the people you meet and climb with that makes the trip. What luxury I’m taking: That will be my usual silk pillowcase to stuff all of my down jackets into to make a wonderful pillow for great ZZZ’s. And my small pot of Organic shampoo and conditioner that smells so great in times of great need! Favourite mountain read: Mountain reads are many and I’m working through Rolfe’s suggestions which are also many! I love anything about Sir Edmund Hillary, he seemed a real gentleman both on and off the mountain. I also really enjoyed Ranulph Fiennes’ Cold – it’s preparing me for minus 40! 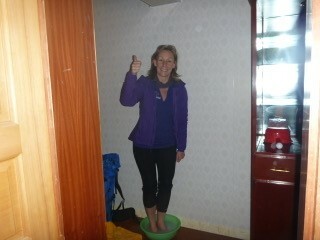 Here’s Sheena attempting to have a shower in Tingri, Tibet – the last stop before camp on Cho Oyu. What I’m most looking forward to: I’m just so excited to be on an 8000m expedition and to experience life on the highest mountain on earth. Just this experience alone will be incredible – I dare not even think about taking those last few steps to the highest point on earth! What luxury I’m taking: My iPad with lots of my favourite films and TV shows downloaded for when the weather forces me into my tent. I can wrap up warm in my sleeping bag, plug my headphones in and ignore the storm! And of course a portable solar panel to make sure I’m fully charged! Both Jamie and Sheena are raising funds from their Everest expedition to support incredibly worthwhile causes. Sheena is supporting Tendi Sherpa Foundation to help locals in Nepal and Jamie is raising funds for mental health charity, Mind. You can continue following their journey on Instagram: @sheena.westy.everest and @jamieironmonger and via Facebook.